Show off your favorite super hero, Superman with this pin from Fansets! Featuring Superman as seen in the film, Batman v Superman: Dawn of Justice, this pin is sure to make your outfit pop and your collection more impressive. Make sure you collect all your other favorite DC Universe characters, also from Fansets (sold separately)! 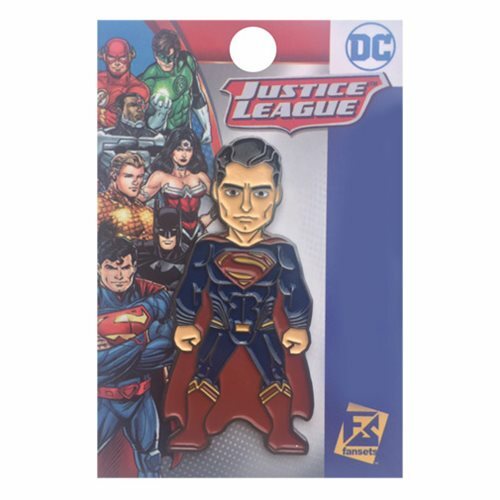 This Batman v Superman: Dawn of Justice Superman Pin measures about 2-inches tall.